Finland played three close games in Hodonin, Czech Republic and managed to win all three. In the opening game on Thursday Sweden was beaten in overtime. Minnamarie Tuominen scored the game-winning 2-1 goal. Sweden took an early lead and Finland tied it only two minutes from the end on a goal by Susanna Tapani. In the second game finland beat the home team Czech Republic 3-2 with goals from Linda Välimäki, Elisa Holopainen and Riikka Välilä. Today Finland beat Russia 3-1. All goals were scored in the middle period. Jenni Hiirikoski scored twice and Riikka Välilä also got a goal in this game. Sweden finished second after today’s 4-2 win over the Czechs. Czech Republic finished third and Russia 4th – both with three points. Top scorer of the tournament was Katerina Mrazova of the home team with three goals and three assists. 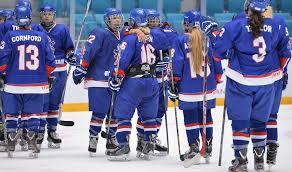 Team-mate Aneta Ledlova also got three goals and so did Swedish 16-year-old talent Lina Ljungblom. 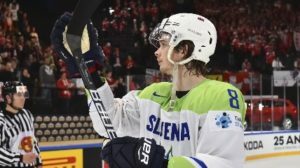 It took a 3-2 shootout win over Belarus in the 2018 International Ice Hockey Federation World Junior Championship relegation round, but it was enough to return Denmark to the elite division for 2019 IIHF World Junior Championship. The Danes scored only 10 goals in six games in the 2018 tournament, so they’ll have to find some offense if they are to compete in the next one. Relying only on 1998-born Joachim Blichfeld (three goals, three assists, and 1999-born Jonas Rondbjerg (two goals, five assists) won’t be enough. Increased offensive production should be expected from forwards Andreas Grundtvig (born 1999, one goal and one assist at the 2018 World Championship), Nikolaj Krag Christensen (1999, one goal, one assist), and Jacob Schmidt-Svejstrup (1998, one goal, one assist, and the shootout winner against Belarus), if they are part of the 2019 team. It’s the same for defensemen Jakob Jessen (1998, no goals, one assist), Jeppe Mogensen (1999, no goals, one assist), and 6”6” giant Malte Setkov (1999, no goals, two assists). Setkov had a strong showing last season for the Malmo Redhawks, scoring one goal and five assists in 14 games in Sweden’s top junior league, the SuperElit. All three will need to contribute offensively at the world championship. In overall international junior play during the 2017-18 season, Rondbjerg led all Danish scorers with three goals and five assists in eight games. Blichfeld was second with four goals and three assists in nine games while Christensen and Grundtvig each scored three goals and earned one assist. Christensen put up his numbers in 10 games, Grundtvig in 13. Another Dane to keep an eye on is center Phillip Schultz. The 2000-born center scored a pair in international play this past season, one of them in the World Junior Championship while playing as a 17-year-old. He is a skilled player who, at 6’0” and nearly 200 pounds, also brings a physical element to the game. Kasper L. Krog (1998) led all Danish goalies in international junior play with a 3.96 goals-against average and an .899 save percentage in seven games. William Roerth (1999) played in one game and recorded a 1.85 GAA. 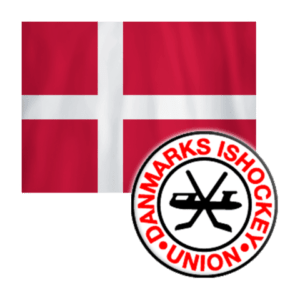 Whoever is on the Danish roster when the 2019 World Junior Championship begins this winter will have to be ready for a fast start. Denmark opens play on Dec. 26 at Rogers Arena in Vancouver against Canada, the defending champions. Malaysia and the United Arab Emirates will host the 2019 IIHF Ice Hockey Challenge Cup of Asia events in the upcoming season. Six tournaments are set for the 2019 IIHF Ice Hockey Challenge Cup of Asia program that will be held in the Malaysian capital of Kuala Lumpur and in Abu Dhabi, United Arab Emirates. The program is aimed at the smaller IIHF members from Asia that do not participate in the World Championship program to allow them to compete in regional events. Malaysia will host the men’s and U20 events at the Malaysia National Ice Skating Stadium close to Kuala Lumpur that opened one year ago for the Southeast Asian Games as the first full-size rink of the country. Both the 2019 IIHF Ice Hockey Challenge Cup of Asia and the Division I tournament for men will be held from 2 to 9 March 2019. Defending champion Mongolia, the Philippines, Singapore and Malaysia will play in the top division with a single-round robin followed by the final round. Macau, Indonesia and Oman will play the Division I tournament in a double round-robin format. The top-two teams will challenge the teams ranked third and fourth in the top division in a qualification playoff game before the semi-finals and medal games on 8-9 March. Malaysia will also host the 2019 IIHF Ice Hockey U20 Challenge Cup of Asia 3-8 December 2018. Eight teams will play split into two separate round-robin tournaments. Malaysia, Kyrgyzstan, the United Arab Emirates and the Philippines will play in the top division; Thailand, Kuwait, Mongolia and Indonesia in the Division I event. For these four teams it will be the first time they compete with an U20 national team. Ten women’s teams will play at the 2019 IIHF Ice Hockey Women’s Challenge Cup of Asia from 14 to 19 April 2019 in Abu Dhabi. It will be the first IIHF women’s tournament to be hosted in the United Arab Emirates. The other news is that Kuwait and Mongolia will have a women’s national team in an IIHF competition for the first time in history. The teams will play a single round robin in two separate divisions. Chinese Taipei, the New Zealand U18 women’s team, Thailand, Malaysia and Singapore will play in the top division; host United Arab Emirates, the Philippines, India, Mongolia and Kuwait in the Division I tournament. finished designs for Mongolia’s first ever indoor hockey rink. When Canadian consulate staff in Ulan Bator heard about the plans, they recommended the designers search out some Canadian expertise. The project leaders contacted Victoria-based VDA Architecture’s Kevin Klippenstein who reached out to Hentze’s firm HDR CRI to collaborate on the project that is now bringing together design, sport and national pride in the remote capital. A Mongolian hockey team takes to the ice on the frozen steppe town of Dzuunharaa. Hentze has designed a number of public arenas and community centers around the country. The Mongolian project leads sent two delegations to tour’s B.C.’s facilities to get an idea of what was possible. One of the stops was the new Delbrook Rec Centre, which Hentze and his firm did the award-winning designs for. The season’s event begins in British Columbia with the WHL’s Kamloops Blazers and Vancouver Giants hosting Game’s 1 and 2 respectively on Monday November 5 and Tuesday November 6. When the series shifts to Ontario it will be the OHL’s Sarnia Sting hosting Game 3 on Thursday November 8 followed by the Oshawa Generals hosting Game 4 on Monday November 12. The series wraps up in Quebec with the QMJHL’s Sherbrooke Phoenix hosting Game 5 on Tuesday November 13 and the Drummondville Voltigeurs hosting Game 6 on Thursday November 15. The hockey craze in China is growing ahead of the Beijing 2022 Winter Olympics and recruiters are not just scouting talent at home — North American players of Chinese descent are in high demand. And one of those recruitment camps is being held in Vancouver this week. 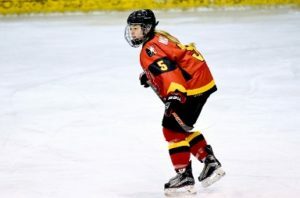 “With [China] hosting the Olympics in 2022 in Beijing, they’ve realized that there is a bit of a talent gap,” said Coach Rob Morgan, who manages the Kunlun Red Star women’s team in Shenzhen, China. Morgan, who used to coach the Yale women’s ice hockey team before moving to China, is hoping to scout female players and entice B.C. talent. He’s visiting Vancouver for a Red Star development camp. “One of the initiatives now is to identify North Americans with Chinese descent who can help China medal and that’s truly the goal of the government, the Chinese Ice Hockey Association and Kunlun Red Star,” Morgan said. Team China has performed well in women’s hockey in previous decades — coming fourth in the 1998 Olympics — but Morgan says as other countries have continued to develop their teams, women’s hockey in China fell behind. “In southern China, where our professional team is hosted … they’d never seen hockey before we arrived last year,” he told Stephen Quinn, the host of CBC’s The Early Edition. 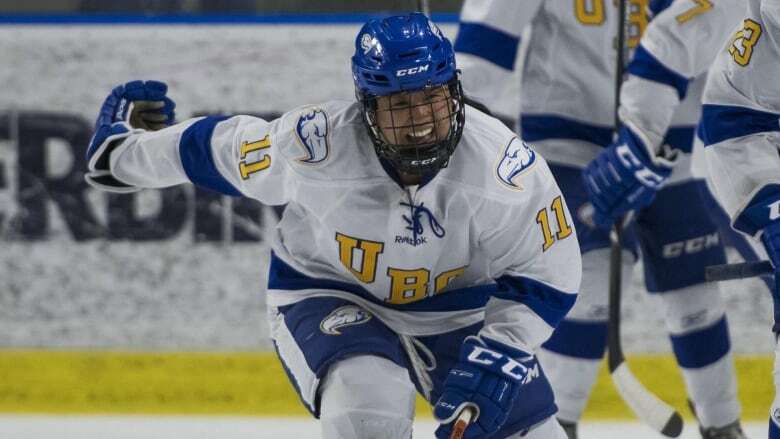 Emily Costales, a student at the University of British Columbia who plays hockey for the UBC Thunderbirds, is keen to join Team China’s Olympic team for both professional and personal reasons. She says she’s not concerned about divided loyalties if she makes the team. “I know a few of the girls that could potentially be playing on Team Canada too so it could potentially be a bit of a rivalry I think, but it would be all good fun,” Costales said.